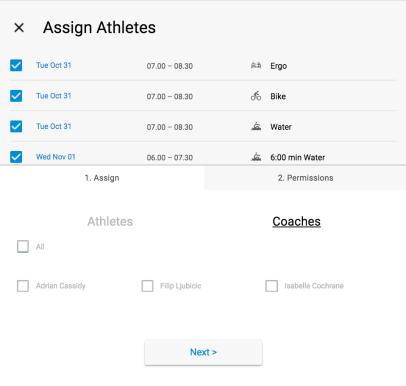 You will see a list of sessions that you can choose from to add a coach to. Check the sessions you want to add them to. If sessions do not appear use the filter to extend the date range. You will see a list of sessions at the top of the page. At the very bottom you will have a list of coaches. Select the coaches you want to add. 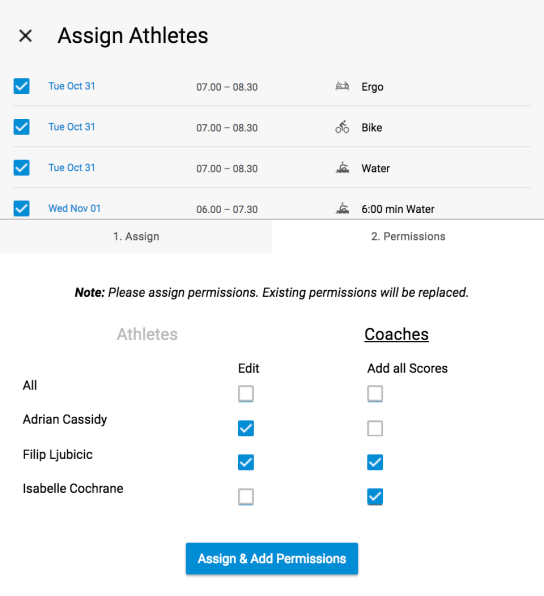 Assign & Add Permissions will add the selected coaches to the sessions.